As one of the most able moving companies in Georgia, Green Van Lines has become a trusted source for the community when it comes to relocating their office, moving into a new home, or storing their most prized possessions safely. We are proud of what has been built here and what we have accomplished as full-service green movers in Georgia. More people in Georgia are turning to us when the time comes for their big move. The state is known for its old-world charm, but Georgia boasts a growing economy that has no chance of slowing down. With the incredible warmth of the community’s values and the sophistication of large companies and technology, Georgia is an ideal state to relocate to. At Green Van Lines, we have already helped thousands find a home in the great state. Georgia movers will testify that the state is simply outstanding, despite the southern heat we experience during the summertime. From the state capital of Atlanta to the urban metropolises of Savannah, Athens, and Columbus, we cater to your moving needs anywhere in the state. There are already 10,000 people moving to Georgia on a monthly basis, so why not let Green Van Lines help you become one of them? At Green Van Lines, we offer comprehensive moving services for any relocation you require. We perform automotive transportation, residential and industrial moves, storage facility options for short-term and long-term needs, and green initiatives that make a difference. 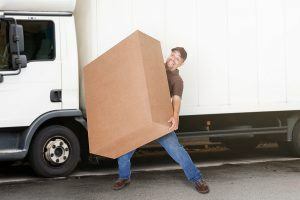 Whether you’re moving the family or the entire office, our expert team of Georgia movers will get the job done right. To hire movers in Georgia who have a proven track record, contact Green Van Lines today at 888-770-4733. No matter the type of move, you can put your trust in our expert Georgia movers.